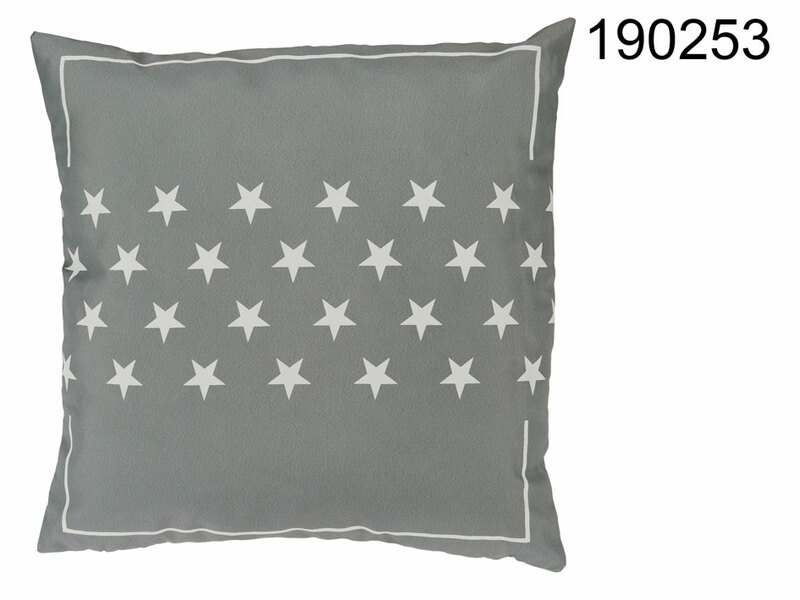 Soft grey square cushion with lovely star pattern. Comfortable home accessory that makes it easier to relax. Zipper in the cover makes it easy to change or wash the pillowcase. Perfect for beds and sofas. Instantly makes any space more cosy. This product was added to our catalog on Friday 13 July, 2018.